There’s always a back story and for the Founder, Our Fabric Stash was a long-standing date with destiny. On the surface, it starts with a book, a sewing machine, a tutor and an eager student. Beneath the surface, there is a love and passion for pretty things and a faith in something greater than oneself. Our Fabric Stash, an innovative, eco-friendly fabric consignment shop, designed for today’s Stash-aHOLic. Stir your creative juices, organize, share, and grow your fabric stash. Experience the “art of consigning fabrics, notions, and textile-related supplies “turning your accumulated stash into cash”. Since its inception in 1994, Our Fabric Stash was a long-standing date with destiny. The seed was planted after the unexpected passing of the Founder’s mentor. Then in 2009, Our Fabric Stash started as a twice per year consignment sale event in Seattle, expanded to Tacoma in 2011, opened its first brick & mortar location in the Chinatown-International District in 2013 and since April 10, 2015 we’ve called Seattle’s Historic Pike Place Market our flagship location. First sewing machine and first garment made. Become a member and join with Seattle’s newest eco-inspired fabric shop. Reduce your ecological footprint, unclutter/space-save at this unique resource for designers, professional and amateur alike. Or, browse Our Fabric Stash to find brilliant new treasures, join the community to share your show-n-tell and meet fellow STASH-aHOLics. stash story is our story too! 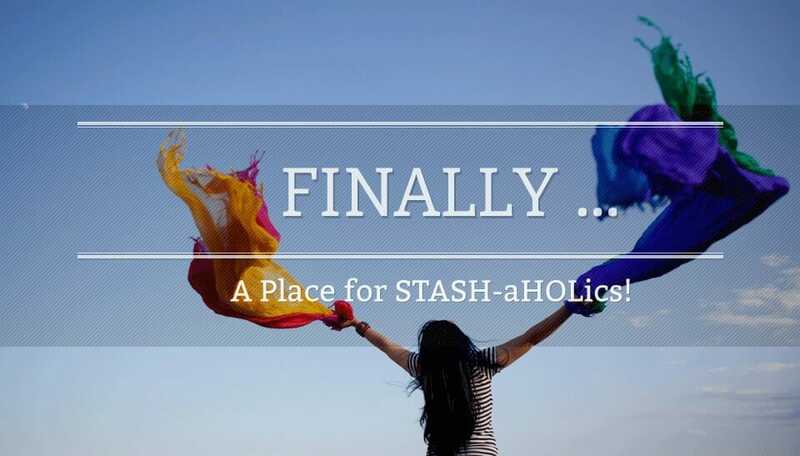 Whether you’re looking to purge or stash, we’re an innovative resource for the STASH-aHOLic community, professionals and amateurs alike – interior designers, sewists, quilters, knitters, crocheters, scrapbookers, beaders, fiber artists, fashion designers, crafters, students and we can’t forget those who LOVE the “Creative Ones” in their life. It’s important to build relationships across generations and to not lose crafting skills. From beginners to advance sewers, we have a host of classes and workshops for you. Our goal is to say “No, to the Crafting Divide” and make sure each home has at least a sewing kit (better yet, a sewing machine) available and more importantly family members know how to use it. 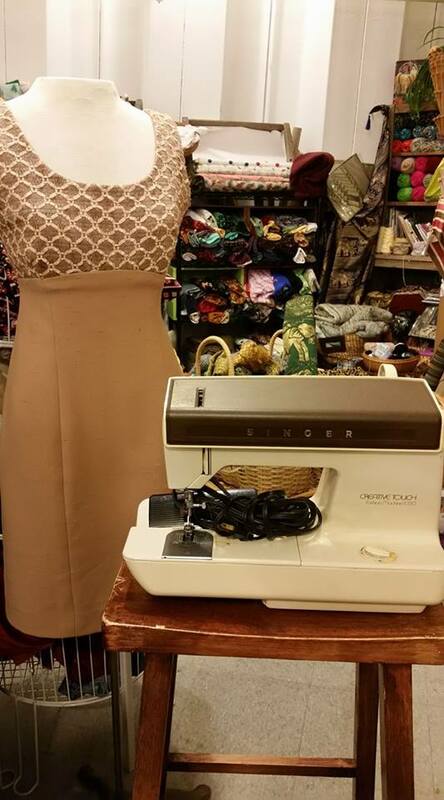 Offering quality, professional alterations and custom sewing services for garments, bridal, business & home interior design, business prototypes, pattern samples and small business short runs. It’s important to keep our stashes out of the waste stream and Our Fabric Stash is the idea solution for making that a reality. Recycle, Re-use and Re-purpose are words we all should live by. It’s a walk down memory lane for some and whole new discoveries for others. Our Fabric Stash is open to the general public for shopping and touring. From treadle sewing machines of the late 1800’s to pressing mangles of the 1940’s – there is much to see and do if you’re up for it.